Ride a taxi to Macabalan Port. 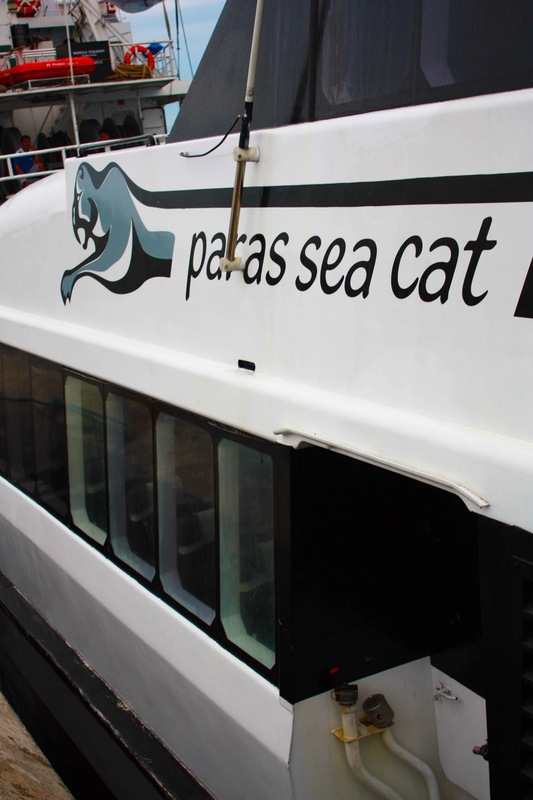 Paras Seacat is the only ferry that can take you to Camiguin Island. Travel time is about 2 hours. You need to be aware of your time because there is only one schedule trip going to Camiguin, and vice versa. 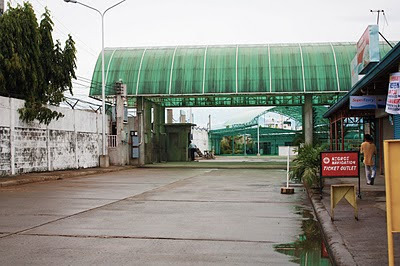 Take a taxi or jeep to Agora Bus Terminal in Cagayan De Oro City. Ride a bus going to Butuan. The travel time will take about 1.5 to 2 hours, then drop off at Balingoan Bus Terminal (pronounced as 'Balingwan'). You can either walk towards the national highway and proceed to Balingoan Port (only 5-10minutes walk) or ride a motorela (tricycle) if you have a lot of bags to carry. 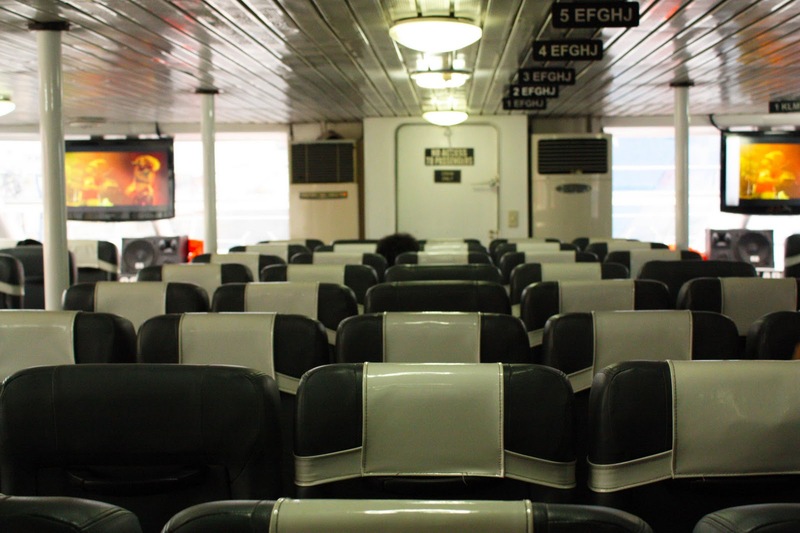 Ride a RORO (Roll on, roll off) to Camiguin from the port. This is also the proper way to reach the island if you have a vehicle with you. Travel time: 45minutes to 1 hour. To explore camiguin, you can either rent a motorcycle to tour around. On the other hand, if you're in a group, the cheapest way is to rent a multicab - it's like a smaller version of jeepney. 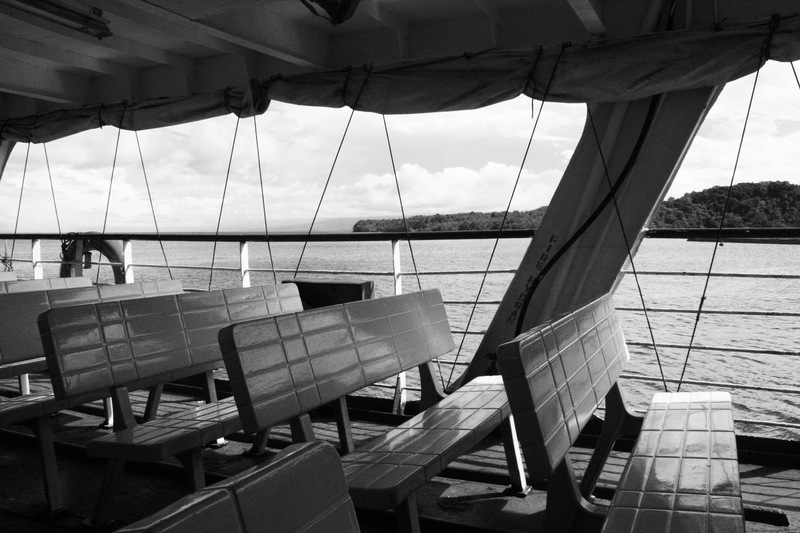 Because it's an open-air ride to different spots, one can really enjoy the beauty of the island. 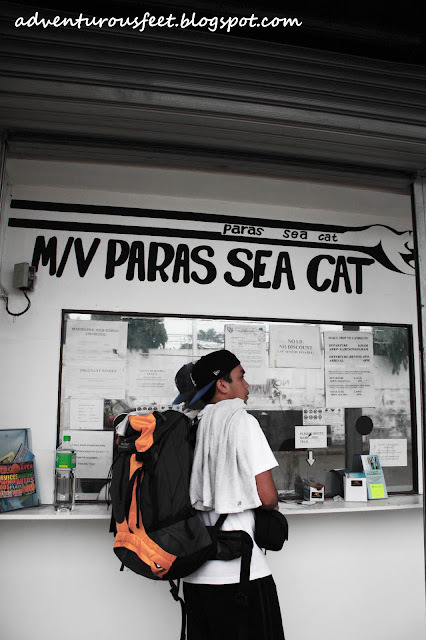 At around 1030 am we arrived in Camiguin through Paras Seacat, we rented Kuya Chris as our multicab rent/guide beforehand. He picked us up from the Benoni Port in Camiguin. Both Pabua and Paguia are homestay just near the shores to White Island, in fact they're neighbors, literally! It would be unfair to Paguia because haven't got the chance to stay there. I think from other blogs, Paguia is fine, recommendable, and they also have spacious rooms as well. It was Pabua's owner Kuya Poloy who managed to reply to me very quick when I booked my room during planning (that's why I decided to stay here), and he took the initiative to ask me too about our boat to White Island. They lend us hot water and utensils when we had our coffee without extra charge. They can cook food for you as well. In terms of the tour, I suggest to check Kuya Chris (his contact is in my blog too) because he's got the cheaper rate compared to some recommended. you are heaven-sent, adventurous feet! sumasakit na ulo ko sa pag plan ng itinerary namin for march 7-11 trip to cdo, bukidnon and camiguin-until i stumbled upon your blog. thank you so much for the blow by blow (wow! prang boxing neh?) account of your adventure to those beautiful places. reading it, makes me say, "wow! pwede din pla naming isingit ang iligan, if only to see maria cristina falls!" so i cry to you for HELP! eto sched namin: we arrive cdo at 6:30 am of march 7, and we leave cdo at 8:05 march 11.
sa bukidnon, i want to experience the ultra light flying, dahilayan adventures and a visit to the monastery of transfiguration for kodak moments and my "monk's blend". getting a rented car is ideal kso lima kmi lahat. di kakasya sa kotse. meron bang innova ung contact mo? sa camiguin, ung mga must see places..
Mapawa Nature Park - you need to alot whole day for the adventure if you're going to try their river trekking. Are you just going to take pictures only? Rafting in CDO needs half of your day, period. Reaching Camiguin will take you around 2-3 hours, You'll reach it before lunch, so you will only have half day for the tour. There are so many tourist spots here where half day is not enough. Going back to cdo will again take you around 2-3 hours as well, you need to take note of that too. If you want to do everything in Bukidnon, you need to alot one whole day for it. Take note, if you read comments from my flying gecko adventure part 2 of this blog, it is closed as of now for maintenance so you need to contact them if it's available on the date of your vacation. If not, you only have Dahilayan and Monastery to check out. Going to Iligan is about more or less 2hours of travel. If you're only up to Maria Cristina Falls, you'll probably return back to CDO after lunch. But since your trip is a weekend vacation, you'll probably not going to see the twin falls inwhich can be seen during weekends. Flying Gecko - contact this one if it's already available on march. Lunch - Also, make sure the resort where you plan to stay have a ready lunch for you to eat or it will consume time. early next day go back to cdo. Some rafting groups also offer packages Dahilayan+Rafting in one day if you also want to consider that. Hi,i was kinda running out of hope in making our itinerary for cdo-iligan-bukidnon-camiguin until i stumbled upon your blog. thank you so much! really has so many important infos. i'd just lyk to ask how much u were able 2spend all in all? ur post really shed light on my it. our trip is on march1-6. hope u cud help me sort my it out. All in we spent around 8-9k(without airfare). This is because we're just 2 from day2-4. thanks for this.. really helpful. keep on blogging. hi po.. where can i see the rates of Pabua cottages and paguin? 7 po kami.. tnx..
hi anonymous.. please contact pabua cottages at 09064152557. meanwhile you may call 09063542745 for paguia cottages. Thanks for the helpful info! Is the ferry schedule for Balingoan to Benoni including RORO boats? Do all of those ferries listed carry vehicles as well? Thanks for sharing your experience with us. This is what I hate about going to Camiguin, but its worth though. Your experience was a big help for my friend and I when we were in CDO. Thanks! Hi! We are traveling to CDO by Jan. 24 to 27,2012 . Time of arrival 3:00 pm and time of departure 8:00 pm.Can you help plan my itinerary? 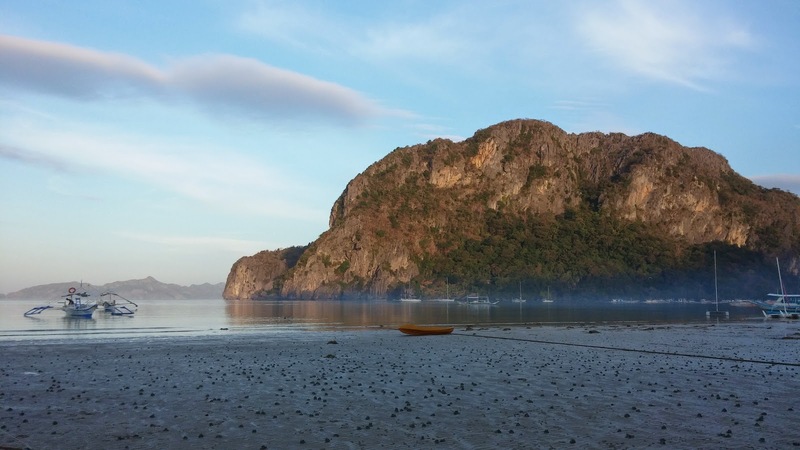 we are composed of 4 senior citizens and 2 late fifties.We want to go to camiguin, ma. cristina falls and divine mercy in El Salvador.Where we can rent a van good for six adults and how much it would cost. Thanks for your help!!! you could try to contact them, if they have van for rent. we rent the vehicle from them when we went to Bukidnon, and Kuya Boyet is a trusted guy. You could ask them for their rates for your Ma. Cristina Falls escapade. 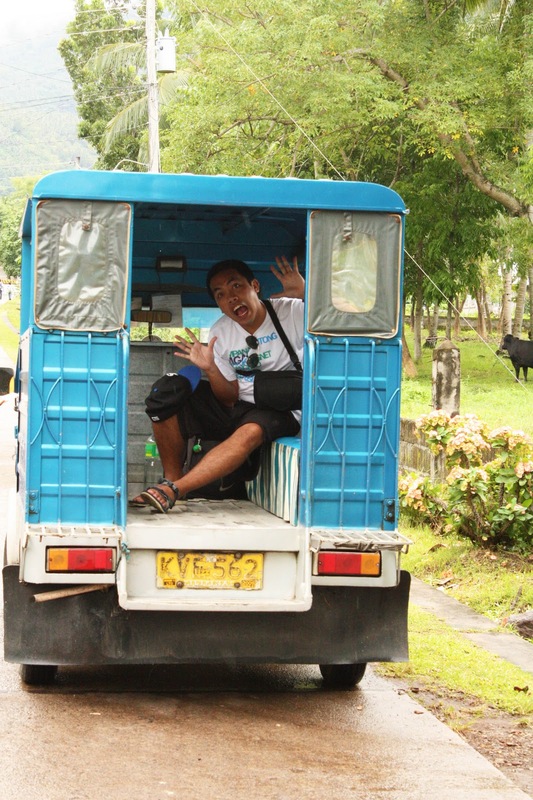 On the other hand, you can tour Camiguin via renting a jeepney-like multicab. 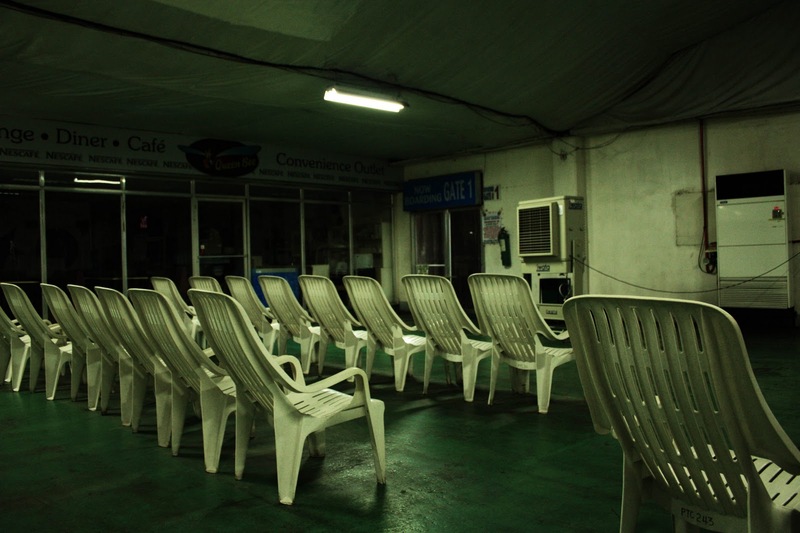 But if the seniors may not feel comfortable with it, ask the van (above) for their camiguin rates as well. Wake up early and go straight to Ma. Cristina Falls and El Salvador. You'll probably be back at CDO in the afternoon, just in time to prepare for your flight. My friends and I are heading to CDO this Nov for a 3-3.5-day trip. We also plan to include Bukidnon, Camiguin and Iligan. Now here's the catch - we were separated into 2 different flights - one group arriving Thurs morning and leaving Sunday morning, and the other group arriving Thurs afternoon and leaving Sunday late afternoon. That's where our problem lies - we only have 2 full days to enjoy this trip as a whole group! (thinking about it now, I'm stressing out again, hehe) Thanks to this very helpful and informative blog, I am seeing some light in our predicament. Sun morning - 1st group leaves for Manila; 2nd group heads to Iligan (Tinago and Ma. Cristina Falls) then flies back to Manila in the afternoon. hi! i badly need help. my friends and i (total of 10 people) planned 2 xplore cdo, bukidnon, iligan and camiguin. we'll be arriving in cdo on d morning of oct 29th and our flight back home 2 cebu will be 12noon of nov 1st. after i saw ur blog, i got so hyped to try everything u tried. but we're caught up on amount of time we have. can u help us decide what to do? anyway, im not sure if ultralight flying gecko in bukidnon is available right now (been informed its under maintenance but you can contact them for clarifications). me and my husband scheduled flight is on Nov 3 at 4am, and flight back on Nov 6 also in the morning, is it possible for us to visit dahilayan on 1st day, travel to camiguin at night and spent the 2nd day there, travel back to cdo at night then go to iligan on 3rd day. how much do you think we'll spent excluding airfare? 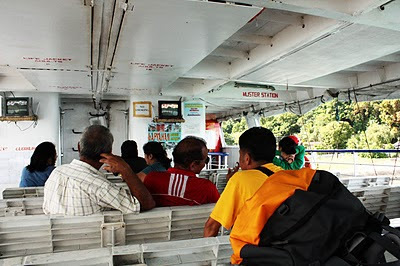 If you're planning to visit dahilayan and go to camiguin after you can take the roro in Balingoan Port but I guess it's best to go to the port around lunchtime. Bukidnon is out of way from Balingoan Port, so you need to add travel time Bukidnon-CDO then CDO-Balingoan Port. If you're going to rent a vehicle, that would be plus factor for you to lessen travel time. On your 2nd day in Camiguin, spend the day (just choose place you want to go) then go back to cdo (via paras) at 4pm trip. If you allot one whole day for iligan adventure, you should not have any problem here, we've done it the same way you want it. Ultralight flying gecko in Manolo fortich,bukidnon is not available(under maintenance). Im not sure if that would be feasible. You can try dahilayan + water rafting in a day (make it on your IT on 3rd day because your arrival on your 1st day is very late). Then a trip to iligan will take you more than half of your day. It took us 1.5-2days alloted for camiguin only. We want to try the water rafting, visit dahilayan park, del monte club house and also Camiguin tour. If you can suggest where we can maximize our stay. how much will be he fare if we bring our own car? an ideas kung magkano ang car fee? 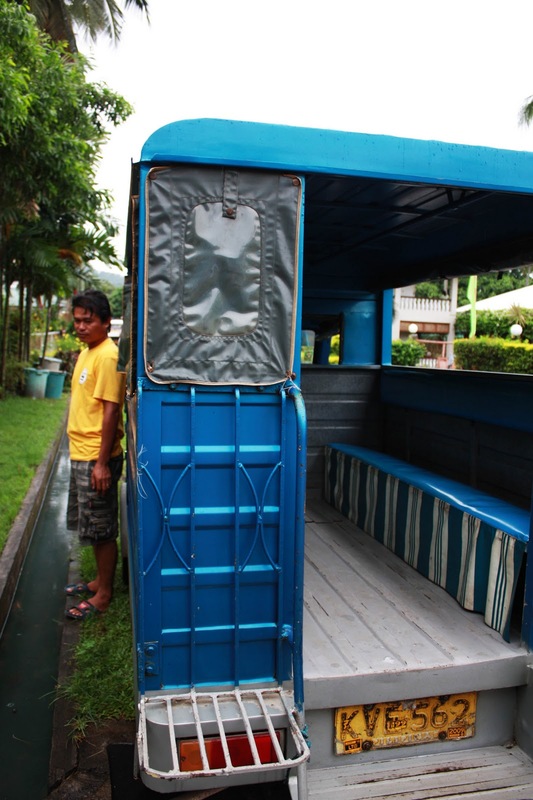 Sigurado po bang merong multicab from Camp Philips to Dahilayan?